Aside from providing your home the necessary protection against the elements, your choice of Northern Virginia roofing also gives it depth and character. For instance, CertainTeed’s Grand Manor® shingles come with exceptional features that will surely transform your home. Peak Roofing Contractors, a CertainTeed-certified roofer, discusses the features and benefits of this line of shingles. The random tabs and deep shadow lines of this roofing system give Grand Manor shingles the elegant dimension and durability of slate. They also come in an array of colors that will match your home’s exterior theme. This includes tudor brown, weathered wood, colonial slate, georgian brick. With the Super Shangle® construction process, CertainTeed can create a shingle roof that offers virtually five layers of protection. It also undergoes a special manufacturing process called StreakFighter® that preserves its beauty from the streaking and discoloration brought by airborne algae. CertainTeed products go through a series of tests to ensure high-quality performance and to comply with the industry standards. 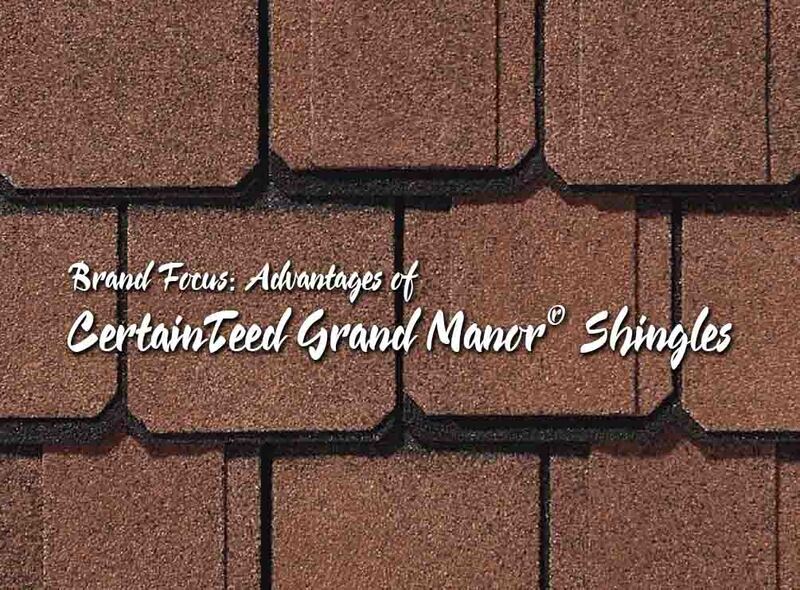 Grand Manor shingle is no exception. This exceptional shingle roofing has fire, water, tear, impact, wind, and wind-driven rain resistance, making it an ideal roofing in Northern Virginia. Aside from our CertainTeed Grand Manor roofing, we also offer other Virginia roofing systems that will meet your needs. You can turn to Peak Roofing Contractors for efficient and high-quality roofing for your home. Call us today at (703) 745-5153 for a FREE estimate.